A motorbike rider in his early 60s was taken to hospital this morning after a rush-hour crash in Swinton. Ambulance crews happened to be passing when the call came through of a smash between a car and a bike on Chorley Road, near Swinton Gateway, at 8.15am on Thursday 22 September. The biker is not thought to have life-threatening injuries or major trauma. Paramedics were more concerned of the man’s underlying medical condition than injuries suffered at the scene, North West Ambulance Service said. He was taken to Salford Royal hospital for treatment. No-one else was reported injured. Traffic was at a standstill in the aftermath of the accident. The route was down to one lane as police partially closed the road between Lower Sutherland Street and the B5231 Station Road. 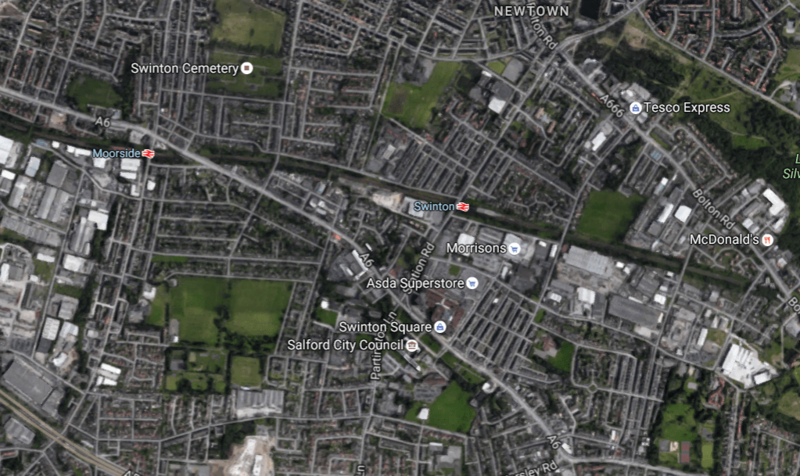 Heavy congestion was ongoing throughout the rush hour to Mulgrave Street towards the M60, on Chorley Road to Clarendon Road and on Partington Lane on the approach to Station Road.